Want to see an increase in energy and enthusiasm in folks on your team? Are you ready for the rewards of a highly accountable, determined, and committed team? In this podcast, I interviewed LN Lurie, my audio engineer, to give some insight into the key factors that cause 25,000 people to climb Mount Kilimanjaro every year. The interview is less about Mt. 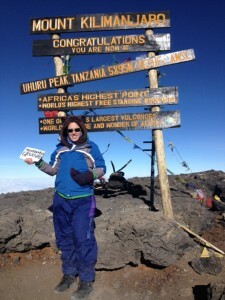 Kilimanjaro, and more about what caused LN (and so many others) to decide to climb, push through the pain, and ultimately make it to the top and back.